I’ve been dosing on AUDL and MLU coverage lately. I’ve got all the twitter accounts subscribed, Facebook pages liked, and YouTube videos filling my subscriptions feed; watching, thinking and analyzing as the biggest names in ultimate fill coaching, playing, and administration roles with the professional franchises. At first, it was hard to put my finger on what bothered me about the video. I tried summing all the elements together. An polo embroidered with a Philly Spinners logo and a simple first name: “Billy”. Coach Maroon opening the tryout with a curt, inspirational speech that could have come right out of a training camp scene in Remember the Titans. Followed up by a unison call and response: “Did you hear me?” “Yes, coach”. Then it came to me. This is not ultimate like we’ve seen it before. This is boot camp. OK, so maybe it isn’t fair to use the Spinners as an example, given that the Spinners are a unique team as far as ultimate goes. Jeff Snader, the head coach of the Philadelphia Spinners during their AUDL championship run last year, is an ex-marine. Snader is well-known throughout the ultimate community for his disciplined, no-BS style of coaching, which he borrows directly from his days in the Marine Corps. During his tenure as coach of Southpaw, it was not unusual to see his players running sprints or doing core workouts after tournaments – even Regionals. A year has passed, and Snader is now commissioner of Major League Ultimate, bringing with him the winning philosophy that made the Philadelphia Spinners the most successful AUDL team last season, and leaving current Spinners coach Billy Maroon to carry on his legacy. The content that MLU has produced with Snader at the helm has been impressive: a professional website, a calculated marketing effort, and an innovative Sponsorship Introduction Program. 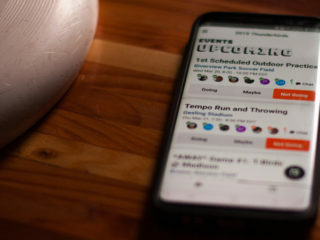 The AUDL has followed suit, updating their website, releasing YouTube videos, and doing everything fans would expect from a professional sports league. Not in the least do I want to insinuate that any of this is bad. After all, is it not I who constantly complains to my friends every time someone makes a joke about a dog chasing a frisbee on the beach, who endures the chiding remarks of coworkers as I limp around the office Monday morning after a tournament, and who constantly thinks about how nice it would be if the general public to start taking the sport seriously? With the advent of the professional leagues, legitimacy, or at the very least acceptance, beckons. I’d like to hear what the old guard thinks about all of this. What about Joel Silver, who promoted ultimate at Columbia High School in the late 1960s with a distinct counter-cultural flair, referring to it as the “anti-sport”? 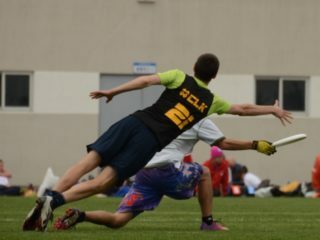 Or the game’s first stars: Dan “Stork” Roddick and Irv Kalb, who saw the opportunity for ultimate as a more serious sport, but with it’s own alternative touches? 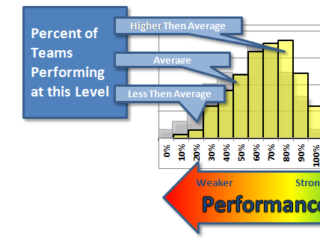 Over the course of the years, the most competitive teams progressed towards mainstream sports acceptance. Their hair got shorter. They started hitting the gym. They stopped the land sharks and boat races after games — well, important games, at least. Even back in 2001, the old Condors were perplexed by some of their modern compatriots’ commitment to the seriousness of the sport, exclaiming “that never would have happened in our day.” Yet over the last decade, the momentum has increased. Sport-specific training. No more Saturday night parties. Gloves and american football cleats. But even though the focus on competitiveness has increased, we have not yet lost our mojo. I love that Sockeye took fishing gear to the 2012 Club Championships and sang the Blues Clues theme song whenever they broke a zone, and that captain Tyler Kinley frequently takes to twitter to shoot witty barbs at teammates, opponents, media, and administration alike. 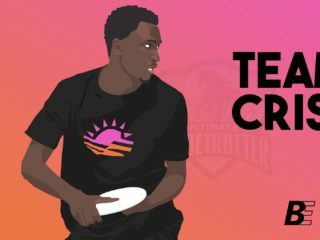 I love that the most dominant and athletic player in ultimate, a 6’4″ deep threat out of the Bay Area, writes children’s books and keeps a blog where he publishes his imaginary conversations with dinosaurs. I love that players dominate games while wearing ridiculous gear like patterned arm sleeves, garish ski hats and bright orange beanies. I love that the one of the most competitive college women’s tournaments in the United States has a built-in dance competition. Ultimate is different. Or at least that’s what I’ve been espousing to friends, family and everyone else who would listen during my entire playing career. We’re alternative. Intellectual. We have our own style of humor and self-expression. So with that in mind, I’m not sure what to think about Peter Prial standing in front of a camera at the Boston Whitecaps tryout and being asked a list of vanilla sports interview questions when just a few years earlier, he was captaining the Middlebury Pranksters, a team that eschews uniforms in favor of individual flair. This all seems like one giant race towards professionalism. A squeaky-clean appeal to put fans in the seats. But what about a nod to the sport’s roots? 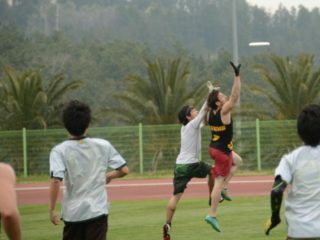 What about the unique culture that drew so many to ultimate instead of a mainstream sport? In an attempt to appeal to shareholders and sponsors, we seem to be afraid of showcasing the alternative values that made ultimate special in the first place. When the AUDL and MLU seasons roll around, I’m excited for a high-level product, exciting plays, unprecedented coverage, and a chance for ultimate to finally get the respect it deserves. But to the administrators, coaches, referees, and players involved in this opportunity to promote the sport more than ever before, I have one simple plea: don’t forget about our mojo.